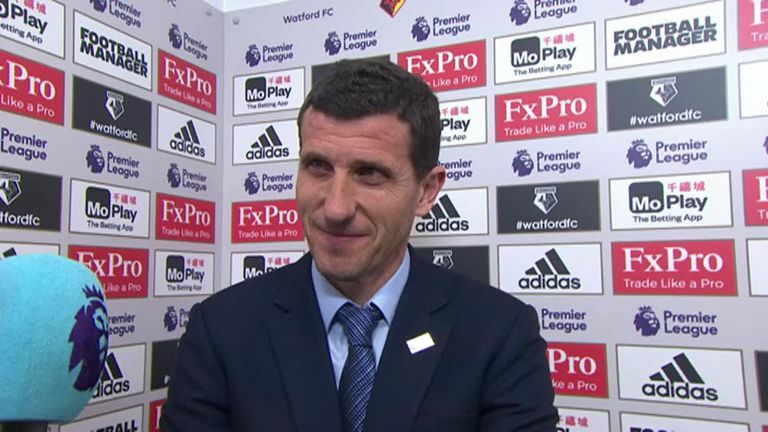 Javi Gracia praised his Watford players after Tuesday's 4-1 win over Fulham helped them break their record Premier League points tally. 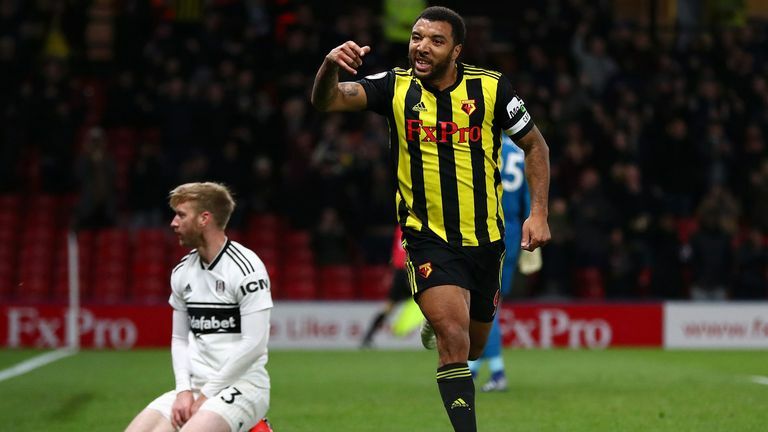 Watford warmed up for their FA Cup semi-final with Wolves at Wembley in the perfect fashion as they moved up to eight in the Premier League, remaining just a point adrift of this Saturday's opponents in the race for European qualification. The result means Watford have earned 46 points this season - their best return in a Premier League season and the most points they have accrued in a top-flight campaign since 1986-87 (63). Gracia made four changes to the side which produced 20 goal attempts against Manchester United in their 2-1 defeat at Old Trafford, with the Spaniard fielding a completely different back four. After a 13th league win of the season, the Watford boss said: "To achieve 46 points is the best amount in the Premier League and I think it's amazing. But the team don't want to stop there. They want to keep going and they keep wanting more points so we'll see what we can achieve. "Before the game, there were some question about the line-up, about whether it would've been better leaving out some players. The most important thing was to win today and this was the best way to prepare for the semi-final. Everyone knows this is an important game for us. "It will be a tough game [against Wolves], but we know we are able to beat anyone. We have to be demanding with ourselves, and in this way, we are able to win as well." The Hornets have four of their remaining six Premier League games at Vicarage Road meaning they will be hopeful of adding to their tally, with a trip to Huddersfield still to come on the road. But Gracia conceded his side were second best in the opening period, in which Ryan Babel cancelled out Abdoulaye Doucoure's opener that had come against the run of play. "But in the second, we changed the shape and we adjusted some movements, and I think this was the key to us getting the victory. "We all struggled to find a way to play against Fulham in the first half, with three at the back, but we found a better balance with Daryl and Andre. From that decision, the players felt more comfortable."